Bringing international fashion brands to Iraq, Financial Links is one of the biggest retail and distribution companies in the country. With brands such as Levis, CAT and Merrell, we are constantly striving to stand out in the Iraqi marketplace. With over 34 outlets currently operating, and many more locations in the pipeline, there is sure to be a Financial Links store near you. We pay great respect to the many boundaries that cover the country, and are one of the few businesses in Iraq which is able to enjoy such widespread presence. Trust is important to us, and safety is paramount, so we have a security team to keep our staff and shoppers worry-free in our fully stocked stores. We are audited both internally and externally by one of the biggest accounting agencies in the world, Ernst& Young. They keep all our financial files up to date and check for discrepancies, helping us to build a brand you can have faith in. That doesn’t mean that we don’t take measured risks. Financial Links was the very first Iraqi business to invest in SAP Business One, at a cost of $300,000. The system has been very beneficial to the company, and we have employed a number of IT staff to ensure it always runs smoothly and efficiently. Our money is also put to the greater good, as we help under-privileged citizens in the country as our way of giving back to the community. Our dedication to excellence is never ending, and we employ over 200 people to ensure our company policies are transparent, our paperwork is in order, and every item of clothing that passes through our doors is in tip-top condition. Our hard-working purchasing department is always looking to make new contacts, in order to bring you the most popular brands from around the world. With a range that spans footwear, bags, accessories and ready-to-wear clothing, Financial Links is a one-stop shop for all your fashion needs. Stop by and pick up a piece of international clothing today! International brands have been shunned from the Iraqi marketplace for the past 25 years. In fact, retail outlets in general are few and far between. We have opened up a channel of distribution for global companies to trade in the country. 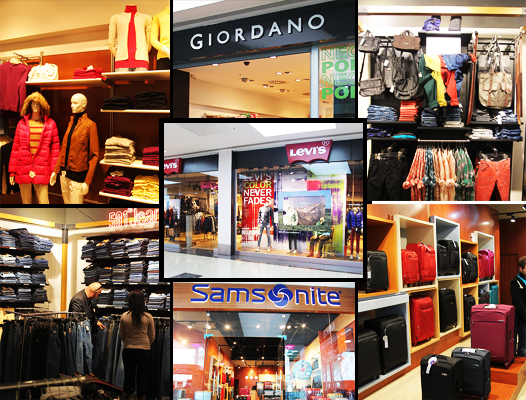 Our constant negotiations with mall owners and big-name brands helps to ensure our company will grow. We have an amazing team of over 200 employees who help make this all possible. Split over nine departments, including Purchasing, Finance, Logistics, Warehouse, IT, HR, Auditors, Security and Retail, our well-polished organization makes for a business that runs smoothly and happily. Financial Links aims to create an exclusive distribution network for major international fashion brands within Iraq. We will build on our retail presence by opening more stores across the country, including outlets at military bases and airports, so that everyone will be able to enjoy our global products.